Home BOLLYWOOD Shahid Kapoor’s Daughter Misha To Make Small Screen Debut With Mira Rajput? Shahid Kapoor’s Daughter Misha To Make Small Screen Debut With Mira Rajput? Is Shahid Kapoor’s wife Mira and daughter Misha to light up our TV screens with their wonderful camaraderie? 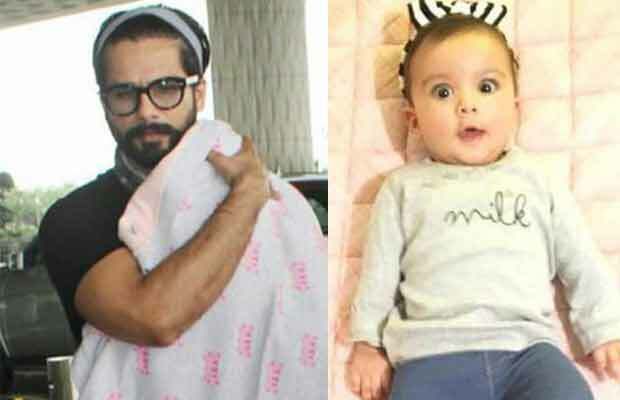 Kareena Kapoor Khan’s baby boy Taimur, Shahid Kapoor’s daughter Misha and other star kids are stealing the limelight on social media. However, for quite some time now, rumour mills have been abuzz that Shahid Kapoor’s wife Mira is soon to follow her actor husband’s footsteps. Apparently, Mira is meeting Shahid’s manager to discuss her silver screen debut. However, nothing has been made official. While her Bollywood debut is a talk of the town, other reports suggest that Mira Rajput is taking endorsement offers. There is also a buzz that not only Mira Rajput, her daughter Misha will also accompany her in the commercial advertisements. Surprising! Isn’t it? Wouldn’t it be a wonderful treat to see mother-daughter together on the TV screens? Previous articleDid Justin Bieber Immediately Left India For This Reason? Next articleSona Mohapatra Takes A Dig At Justin Bieber Concert, Targets Sonakshi Sinha Again!